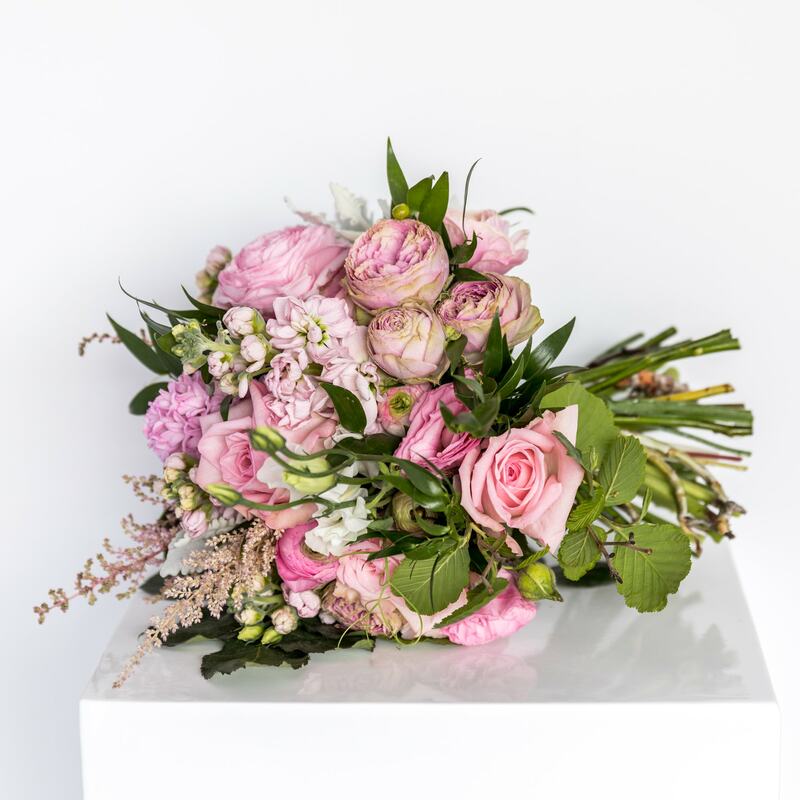 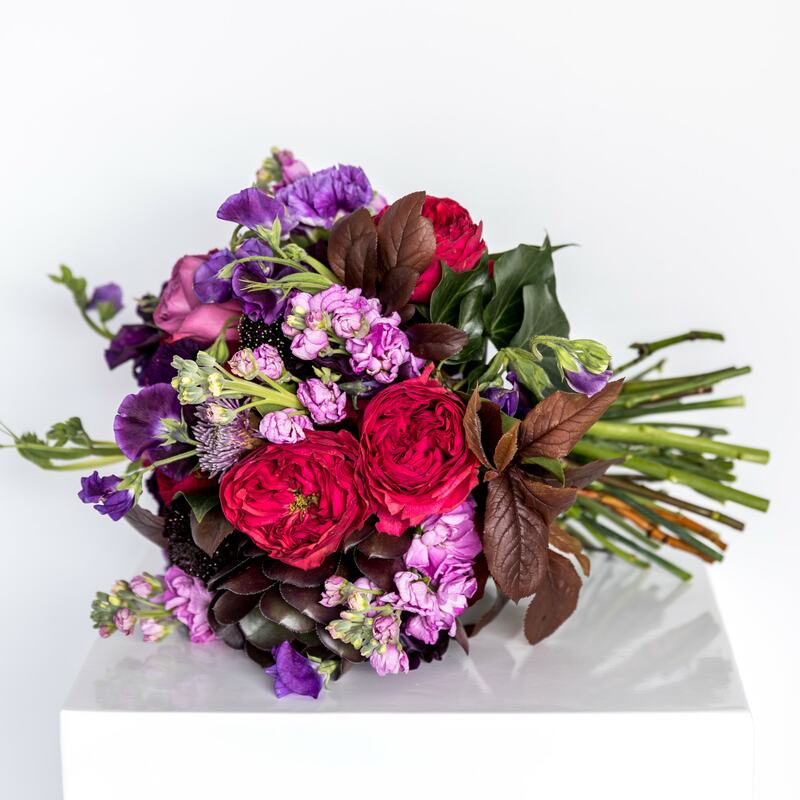 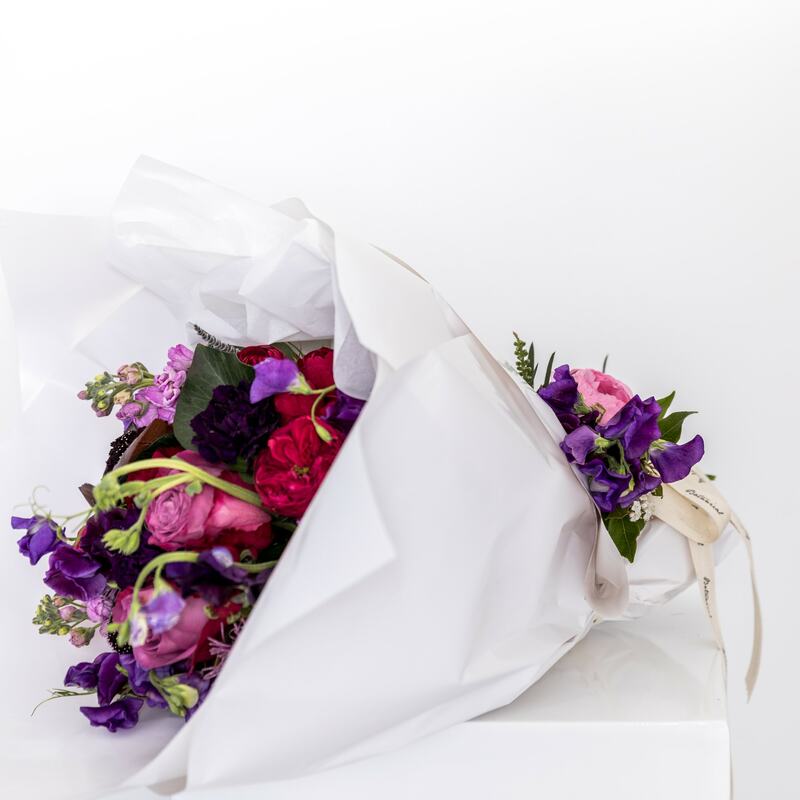 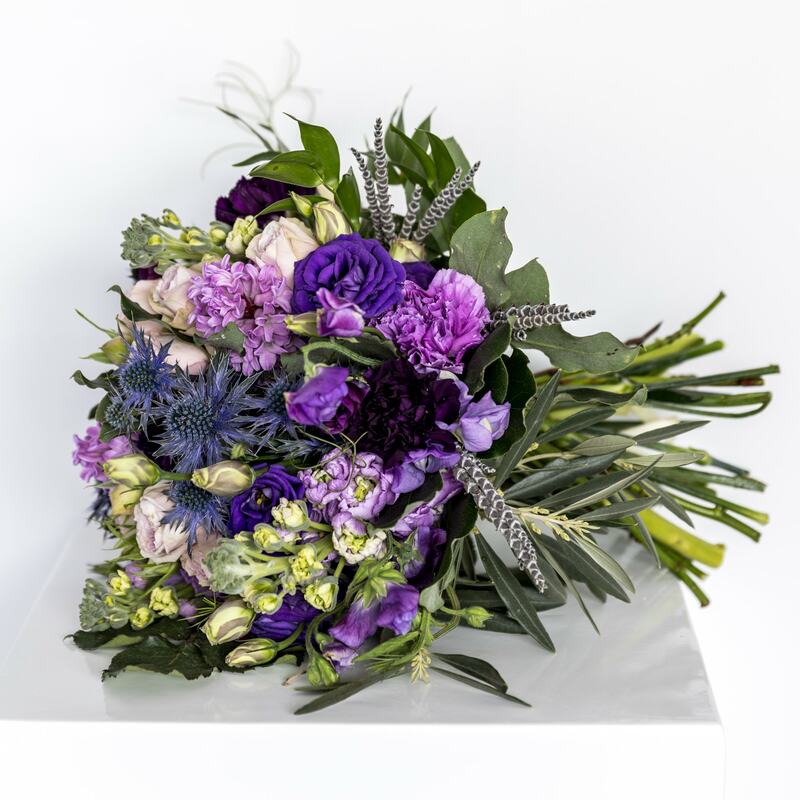 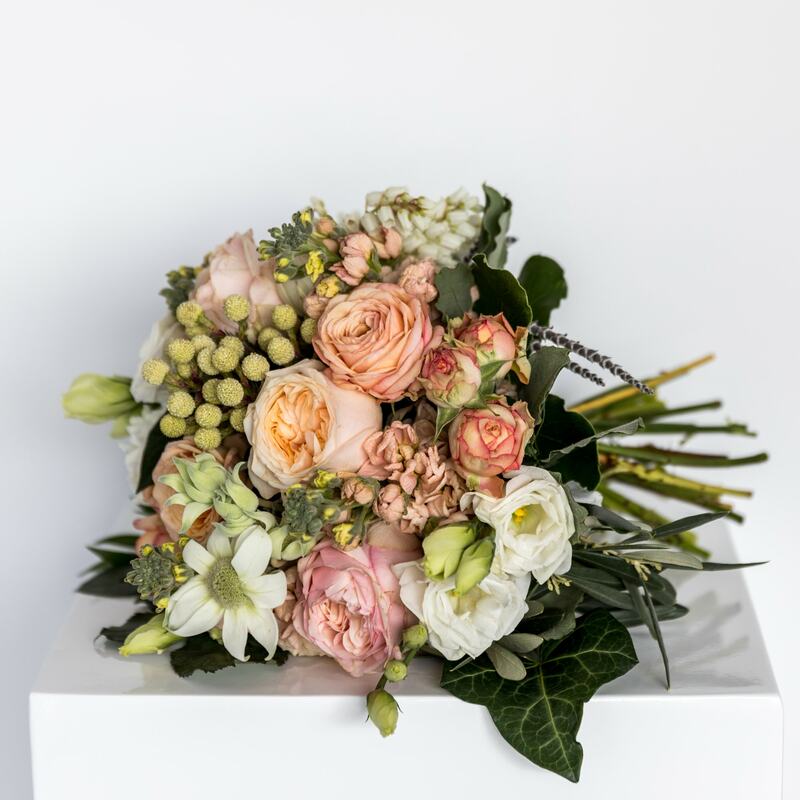 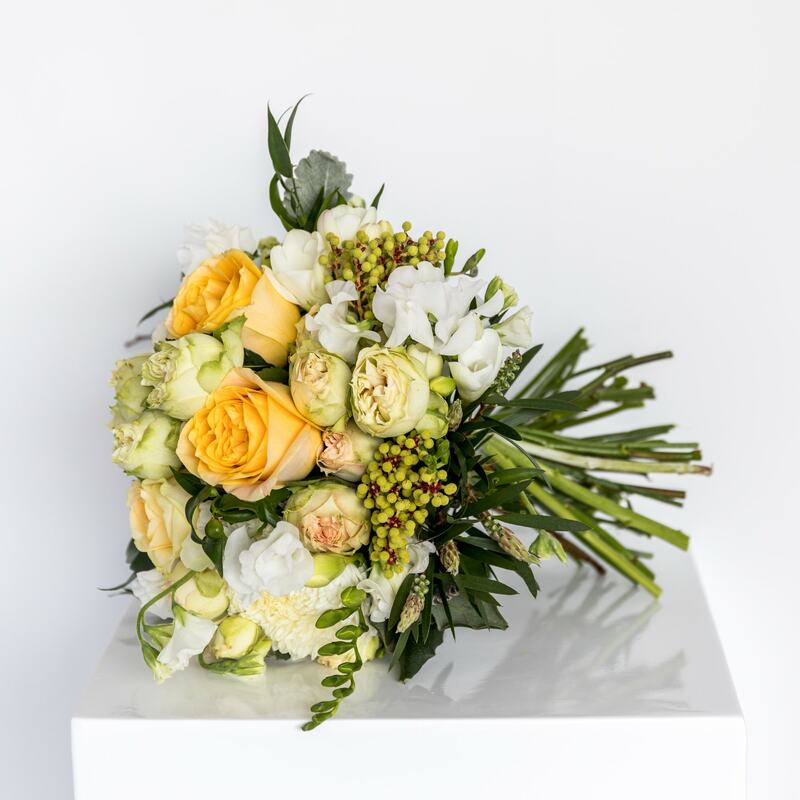 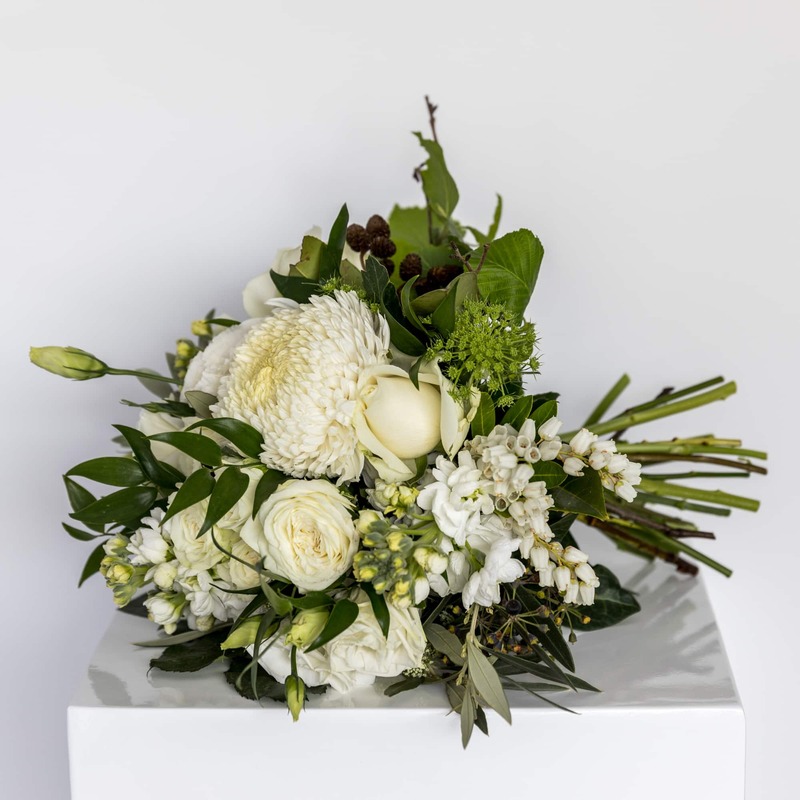 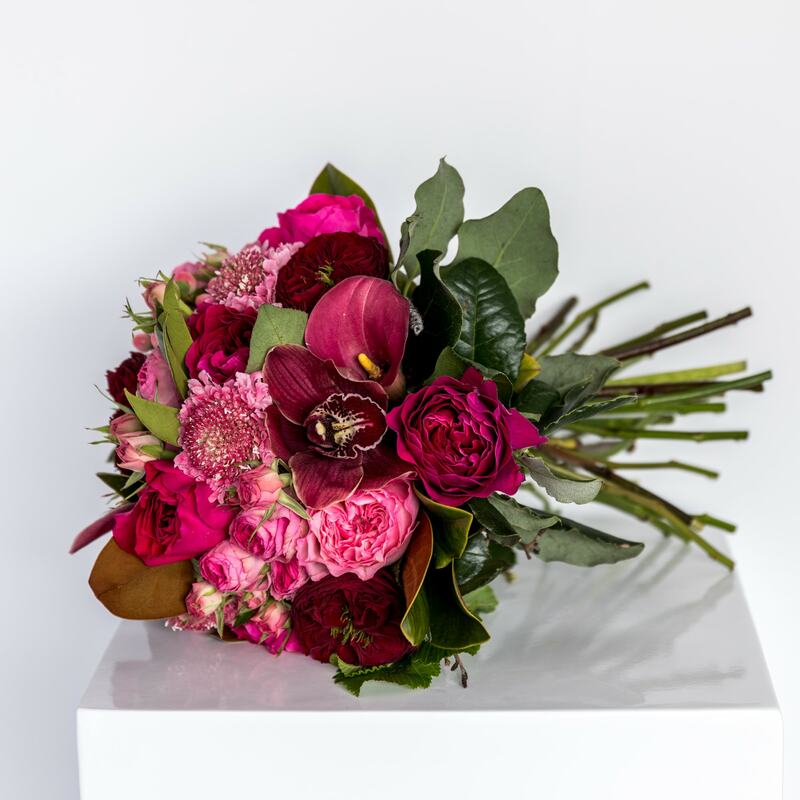 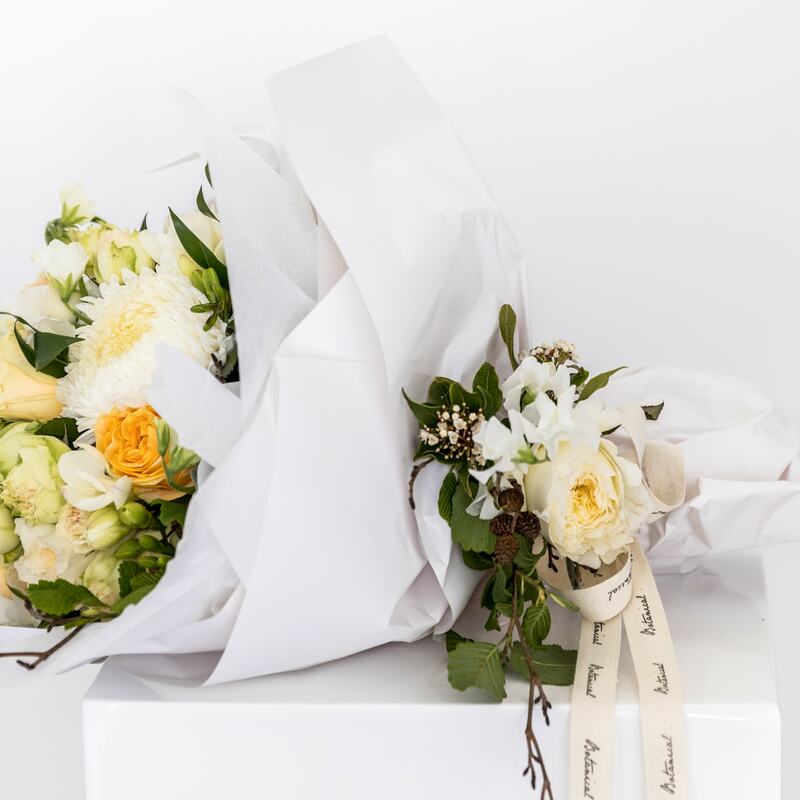 Our signature style of flowers; feminine, pretty and full of seasonal perfumed and textured blooms. 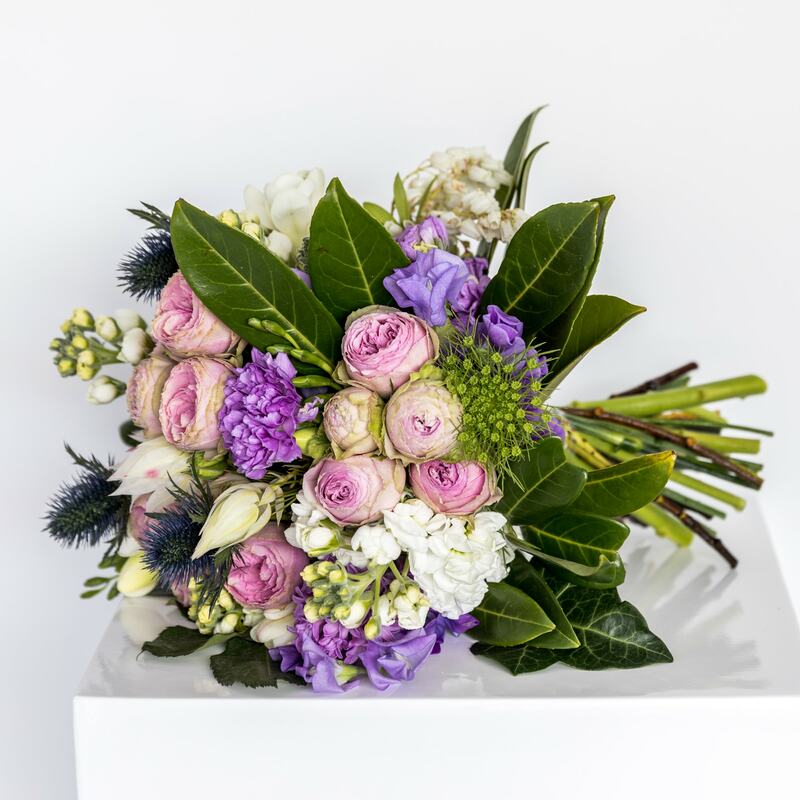 Designed to fit beautifully in a vase with all stems spiralled, a shorter style classic posy. 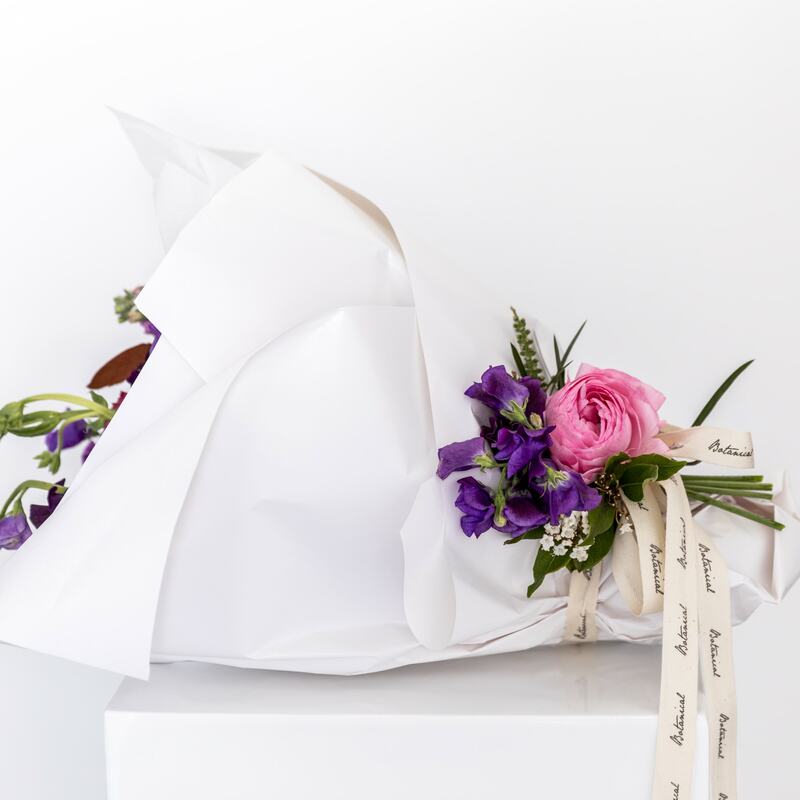 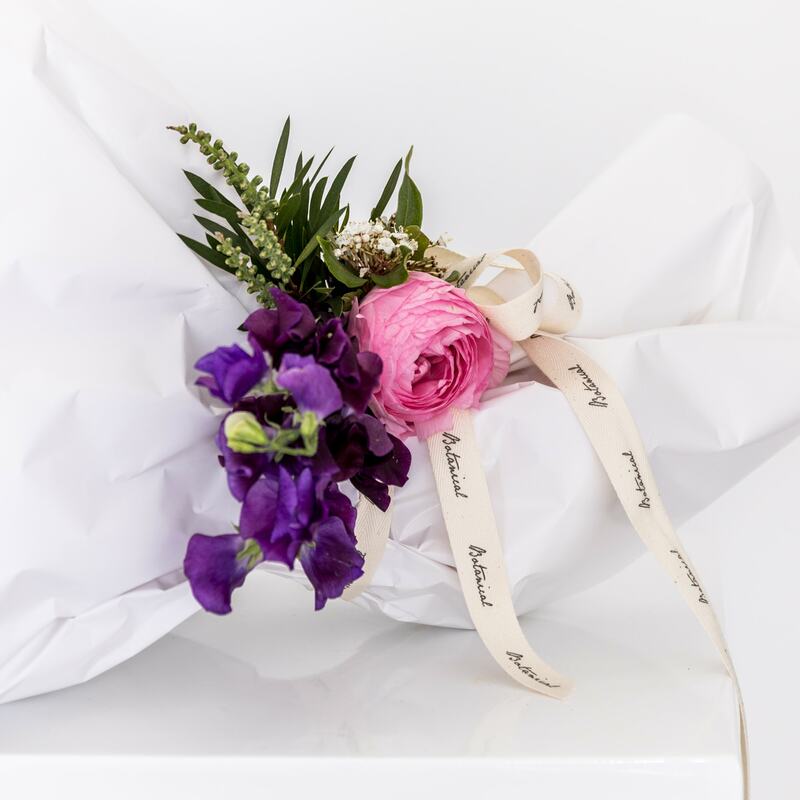 Presented in our signature wrap of white paper, botanical ribbon with fresh flower detail , or a classic glass vase to suit.